Jan Nyman, the ace detective of the covert operations unit of the National Central Police, is sent to a sleepy seaside town to investigate a mysterious death. Nyman arrives in the town dominated by a bizarre holiday village - the ‘hottest beach in Finland’. The suspect: Olivia Koski, who has only recently returned to her old hometown. The mission: find out what happened, by any means necessary. Helsinki is battling ruthless climate catastrophe. Tapani Lehtinen, a struggling poet, is among the few still willing to live in the city. When Tapani’s wife, Johanna, a journalist, goes missing, he embarks on a frantic hunt for her. Johanna’s disappearance seems to be connected to a story she was researching about a serial killer known as "The Healer". 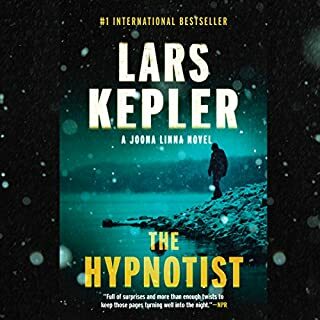 Determined to find Johanna, Tapani’s search leads him to uncover secrets from her past - secrets that connect her to the very murders she was investigating. After a messy divorce, attractive young mother Sonia is struggling to provide for herself and keep custody of her son. With her back to the wall, she resorts to smuggling cocaine into Iceland and finds herself caught up in a ruthless criminal world. 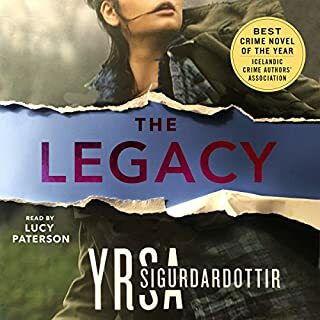 As she desperately looks for a way out of trouble, she must pit her wits against her nemesis, Bragi, a customs officer whose years of experience frustrate her new and evermore daring strategies. 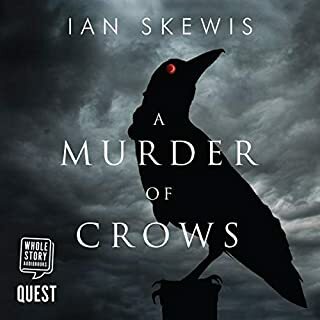 A book that achieves the novel scenario of allowing a man to investigate his own murder without any supernatural chicanery doesn't sound like one to be taken lightly. However The Man Who Died really can't be taken that seriously either. The disclaimer at the start of the book probably guides you towards the correct approach to this one. For me this book was a really light ride. Plenty of wry smiles, I very much warmed to Jaako from the start. A decent guy in a ridiculous situation. There aren't too many laugh out loud moments but I was pleasantly charmed by the whole thing from early on and it's an intriguingly original story. The narration by David Hackston feels to hit a lot of the right notes even if maybe it is a little dry in terms of delivery. So, possibly a niche book but if you fancy something a little different in your Scandinavian noir then this tale set in the murky and surprisingly cut-throat world of mushroom entrepreneurs is well worth a try. Original. Interesting how time slows when you are in critical moments. How you notice many simultaneous minutiae. Well described here. Good yarn. Loved it. Narrator hit just the right type of delivery. 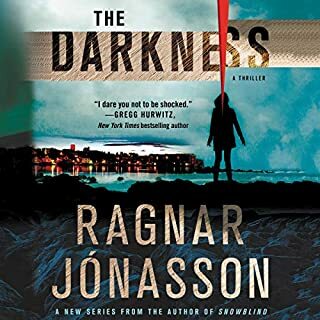 I must admit I thought I had my fill of Scandi Noir after ploughing my way through the Girl With The Dragon Tattoo series. This however tempted me in with a very promising storyline. 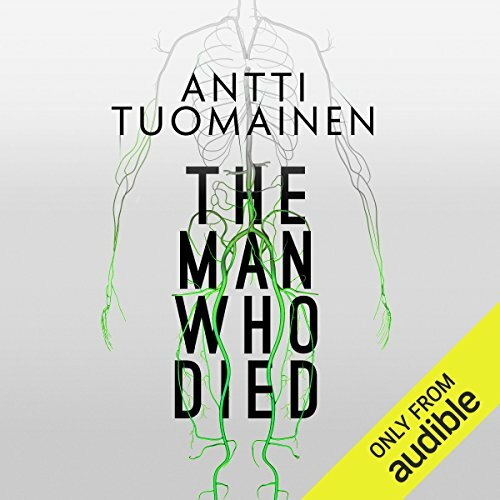 A thriller based around the Finnish Mushroom industry is definitely unusual and when you add a charming and self-deprecating hero who handles the news of his imminent demise with bemusement, you really are in for a refreshing treat. This is a story that keeps you in the dark until the very end and delivers an almost equal quantity of laughs and thrills along the way. People say this reminds them of Fargo and I think they are spot on. Kris Dyer presents this very well. His voice reminds me of David Mitchell (of Mitchell and Webb) and his natural sparkle is perfect for this material. 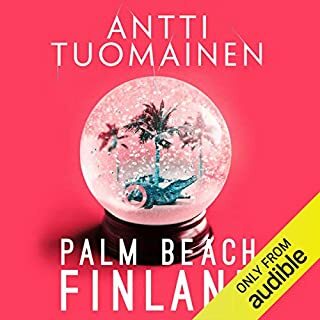 This I my first book by Antti Toumainen and after this I will be in the market for more. Overall this is a 10/10 from me and a great pleasure to find a new and original author to enjoy. It's not just a comical, witty and wonderfully matter-a-factly delivered tale. It makes you think about humanity and what your reactions might be if you knew your mortality might end so soon. The scence when our here figures out how and then who has poisoned him. Indeed, I am not listening to it a second time, it is that good. A murder with some humour. Humorous and sometimes irreverent, but never boring, a crime story with a difference that will not disappoint especially if you are not a person who reads the genre all the time, and a breath of fresh air if you do. A very entertaining read with a good plot and a likeable character that keeps you engaged and smiling. This was a fantastic listen, a bit sarcastic and with some irony but also different. 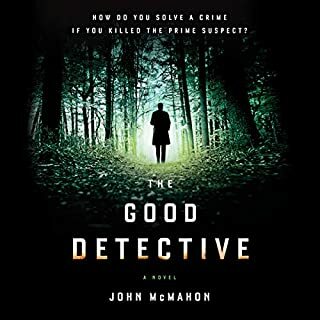 The premise is really interesting - a man sets out to find out who has murdered him and the story trots along well but, and it's a big repetitive but, the endless lists of details just ruins an otherwise excellent book (hence the 3). I think I know every road name in the small town where the action takes place! It's a real shame as the story stays with you once you've finished the book - which I always think is the mark of a good book. This was quite a good story and I did see it through to the end, but somehow it wasn't really what I expected having read the glowing reviews that talk about the amazingly funny writing. OK it had a few amusing moments – but a lot of the humour was plain silly. Underneath it all there was a reasonable story, with OK characters and and a reasonable plot. I don't think I will search out any more books from this writer. Having read great reviews on Amazon, I was so disappointed with the narrator. Gave up!. very much enjoyed this book. Was looking for something simple, about loneliness, nothing too emotional or draining to get into. It was exactly what I wanted. The narrator's voice is so nonchalant which really works for the story. It's not a big In your face plot. It all just unfolds really well. Quite peaceful to listen to and enjoy but not boring and still gripping. A feel good book in a sad kind of way.